If you have ever visited New York City and iconic Central Park, you would very well have seen the famous carriage horses. Several carriages are available to those who want to be pulled around the city for a peaceful ride courtesy of working horses. These rides are not cheap. The short ride will run you $68 for just 15-20 minutes. The longer rides just under an hour cost $150. The executive director of NYClass, Edita Birnkrant was recently interviewed and she feels that carriage horses are being abused and mistreated. In the interview which you can watch right here on The Horseaholic, she explains what is wrong with the NYC carriage horse rides and also offers solutions to make the lives of these horses better. There have been counter reports that the NYC carriage horses are actually treated exceptionally well and that we are only seeing a few rare negative incidents. NYC officials say these horses love the work they do and enjoy being out around the city. What do you think? Do agree with Edita Birnkrant and feel these horses are being mistreated? Or do you feel they are being well cared for under NYC regulations? Leave your comments below or post to our Facebook page to start a conversation with our community and don’t forget to SHARE this on Facebook! 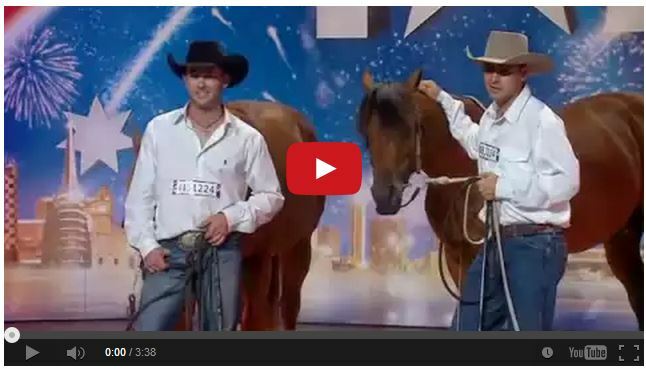 Watch Double Dan Horsemanship On Australia’s Got Talent – No One Expected This!!!! Reining Without Reins – Just A Fun Video!